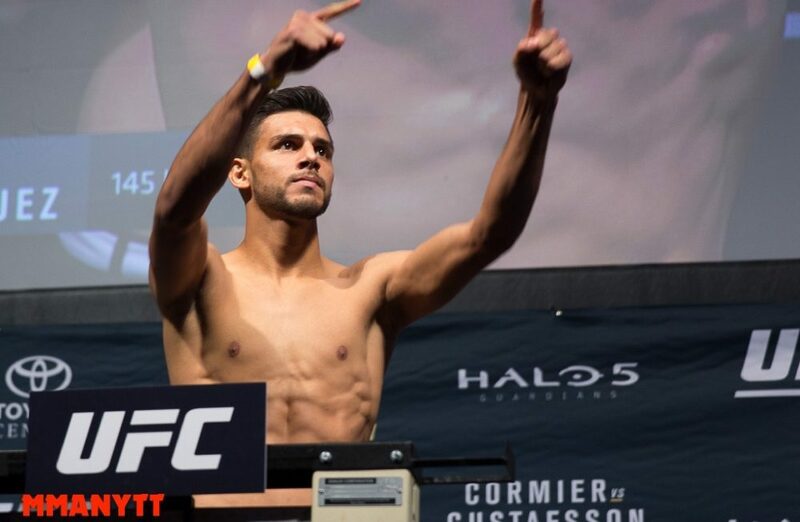 Yair Rodriguez has hashed out things with the UFC and will return to the roster where he's expected to face Zabit Magomedsharipov in September. Yair Rodriguez is officially back in the UFC. The former ‘Ultimate Fighter: Latin America’ winner was dropped from the roster just a couple of weeks ago after UFC president Dana White said he had refused to take fights and the promotion decided to release him from his contract. It was stunning news considering Rodriguez had been pegged as one of the best up and coming talents in the featherweight division with a 6-1 record in the UFC. White didn’t seem to show much remorse last weekend when he addressed Rodriguez’s release at the UFC Fight Night card in Liverpool, England. Despite that statement it appears Rodriguez ended up speaking to UFC matchmaker Sean Shelby through a mutual friend and the two sides were able to hash out an agreement to return to the organization as well as book his next fight. “Sean Shelby and I have a friend in common, Mario Delgado, he was he connection between Sean and I where we had a friendly conversation during lunch on Friday. We got into the interview realization that what happened was a big miscommunication and bad timing,” Rodriguez said. Rodriguez had previously been attached to two separate fights that apparently led to his dismissal from the organization. One of those matchups was a proposed fight against Magomedsharipov and now it seems that bout will move forward in September. As for the date and location, UFC 228 hasn’t been officially announced by the UFC but T-Mobile Arena is currently booked with a concert so it’s likely that event won’t take place in Las Vegas.